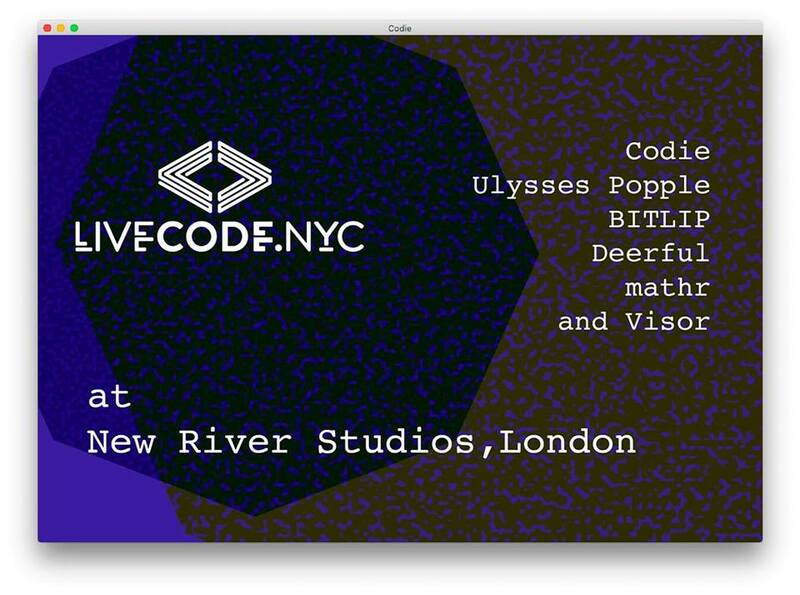 Right on the heels of the International Conference on Live Coding and an Algorave at Access Space in Sheffield, livecodenyc in exile presents an afternoon of live coding at New River Studios. Come join us to jam and hang out. New River Studios is at Ground Floor Unit E, 199 Eade Road, N4 1DN London.